Returning a debt of appreciation to Boris Kiderman - the caring Jew who did not ask for publicity, just to help. And help he did, raising tens of millions for the welfare of Israel and world Jewry. Zachary Silver is a pro-Israel activist and has had pieces published in The Times of Israel and The Jerusalem Post. He writes frequently about Israel and Jewish culture. It is beautifully poetic, uniquely fitting, and particularly deserving that Haifa Medical Center has merited the dedication of its Cardiac Rehabilitation Institute in the in the name of Boris Kiderman, of blessed memory, a beloved husband, father, grandfather and great grandfather. Boris’ huge heart, until it’s final beat, pulsated with love and care not just for his own family, but for the people of Israel, the State of Israel, and his fellow Jews in need around the world. His vibrant yet tender heart, made of gold, was existentially connected to the broken hearts of so many that needed help. His wife, Ludmila, determined to continue their tremendous collective work of love, donated the funds for Cardiac Rehabilitation Institute in memory of Boris, a man who throughout his life, and for decades through the UJA and the B’nai Zion Foundation, tirelessly saved and rescued Jews in Israel and beyond, from perilous and life-threatening situations. Boris’ sudden and tragic passing nearly seven years ago devastated his family and sent shockwaves around the world, creating an unfillable void left by the passing of a true giant and hero. Clearly, there was still work to be done, as Israel and Boris’ Jews needed more of his help. Ludmila, still broken by his passing but unbowed in continuing her husband’s mission, contacted Boris’ dear friend Doctor Amnon Rofe, CEO, of Haifa Medical Center. The wheels were in motion to do more, on behalf of Boris, for Haifa Medical Center. In death, Boris lives on and, in so doing, assures that others who will have access to the cutting edge life-saving technology at the Cardiac Rehabilitation Institute will live healthy, meaningful and productive lives. Ludmila, his life partner and co-decision maker in so many of the Kiderman Family impressive charitable endeavors, together with her children Nadia, Jan and Alex, keep the flame of Boris’ memory burning brightly. As should be known, especially to encourage and inspire others, Boris gave not just of his money but of his time. He was personally involved, taking him away from his many business and personal demands, in dozens of causes on behalf of Israel and World Jewry. Boris volunteered countless hours on “ Super Sundays” for UJA, raising millions of dollars for vital humanitarian causes for our Israeli brothers and sisters. For example, one of the missions closest to his heart was the Israeli Wounded Soldiers, under the auspices of the UJA. For more than 30 years, 1980-2012, UJA raised more than $30 million for its project known as “Brothers for Life.” Boris was fully involved in this tremendously successful campaign, where inured soldiers worked together with other injured soldiers. Often through heavy tears and always with a resolute mind and sensitive heart, Boris was a positive difference maker on behalf of Israel and Jewish causes, especially those that would help those in need of medical care. Boris understood that if one of his fellow Jews was in pain, physically, emotionally or psychologically, Boris had to act and do his part to the best of his abilities. If even one Jew was suffering, Boris suffered as well. No cause was too small and no need wasn’t immediate for Boris. He often put his own needs last and used his lifelong connections and important friendships to help not himself, but his fellow Jews. From finding employment to paying medical bills to assuring there was always food on the able for the Holidays, Boris was there, upfront and leading the cavalry of kindness, understanding and generosity. The recognition and awards, enough to fill shelf after shelf, meant little to Boris, only that such publicity would hopefully stir others into action and openness, both in their time and with their checkbook. Boris’ heart was always beating passionately with that of the Jewish people and the Zionist cause, so much so that he especially when he left behind a life of luxury in the Soviet Union to immigrate to the United States to ensure he could raise his children as strong, confident, proud and practicing Jews. Boris always remembered where he came from and where he wanted to go, with his family and with helping others to fulfill their own dreams and life objectives, in health, peace and harmony. 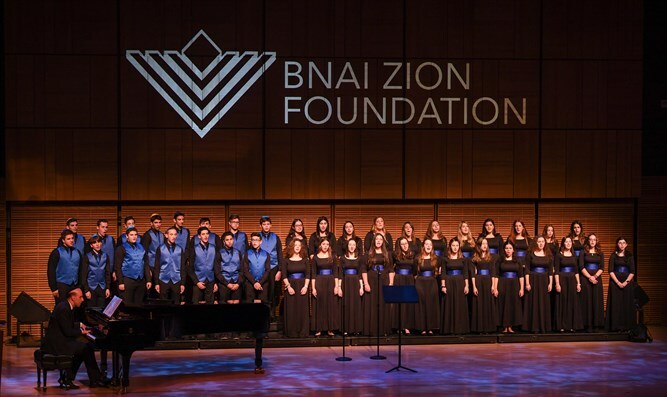 For more than 30 years Boris volunteered and often led B’nai Zion, a nonprofit organization that raises funds for capital projects in Israel that support Judaism, Israeli culture and social causes, and the very organization responsible for the creation of the Haifa Medical Center. Boris’ thousands of hours dedicated to B’nai Zion was a labor of love for him—love for Israel and her people, and dedication to ensuring their health and happiness. Without looking for payment or promotion for himself, Kiderman tirelessly worked to raise funds for the organization’s many worthwhile causes. He founded the B’nai Zion’s Russian Division, which engaged with Russian Jews, providing them an outlet to contribute to Israel’s success and to form bonds with their Jewish brothers and sisters. He wanted to show others what they can do and accomplish, by example, just as he had, and help them fulfill their own life’s dreams. While he supported all of B’nai Zion’s initiatives, there were some that were especially close to Boris’ heart, such as the Ahava Village for Children and Youth. “Ahava” means love and it was Boris’ love for his fellow Jews that drove him to fundraise indefatigably for this community. Ahava Village is a residential facility for at-risk children, who either have nowhere else to go or come from abusive homes. Ahava Village provides not only room and board for these children, but also therapeutic services. Boris looked at each of the children at Ahava Village own and wanted each of these children to have the same opportunities that his own children had. Boris also took a special interest in Ma’ale Adumim, a community in the West Bank that is thriving despite international pressures. Boris work with B’nai Zion was fundamental in helping to build a library for this devoted population, because Boris valued education so highly. Kiderman worked with Mayor Benny Kashriel to help build this ever-growing community of proud Zionists. But Boris’ true passion was always the Haifa Medical Center. He would often speak of how proud he was to support the medical professionals there, who would attend to wounded Israeli soldiers during various conflicts in Israel; he was proud to help ensure that the Medical Center had adequate resources to treat these heroes. He knew well that the Israeli soldiers were and would always be Israel’s most valued and important natural resources and commodities. They kept Israel safe and healthy and he wanted to do his part to keep them safe and healthy. This pride of course also extended to his son, Alexander, an IDF reservist and doctor living in Israel, who, emulating his father, has dedicated himself to preserving Israel and her people. And just how did Boris accomplish so much and do so much good? He never paused — even in the middle of dreadful snowstorms and in the midst of his own personal trials and tribulations— he always gave Israel and the Jewish people all he had. Certainly, Boris was one of the foremost leaders of the Russian-Jewish community in the Tri-State Area, never passing on an opportunity to advocate for Israel. He instilled his deep and unyielding love for Israel in his own three children: Just as his oldest son Dr. Alex Kiderman served in IDF reserve unit and teaches in Hadassah Medical Center as well is a physician in private practice in Maale Adumim, Jan Kiderman, his younger son, is now serving actively on the board of Bnai Zion organization as a Vice President, and his daughter, Nadia Kiderman, a successful medical professional, volunteers her time in Memorial Sloan Kettering Cancer Center, specifically in the oncology pediatric ward, helping Jewish children and their families, many of them from Israel, often using her medical expertise to help these scared and anxious parents navigate the complicated rigmarole of the necessary treatments. Nadia together with her mother Ludmila, helps financially when the need arises, in cases where additional funds are necessary to cover the costs of treatments. The Kiderman Family has learned well from Boris, their patriarch and leader. Boris had an outstanding ability to engage people in the pursuit of justice and peace in Israel, and his passion and love for Israel and the Jewish people was contagious. Boris infected the Kiderman Family with such traits and his dear wife Ludmila and their successful and caring children, proudly continue his legacy. After Boris Kiderman gave his so much of his heart to Israel and the Jewish people, it is fitting that the Kiderman Family has chosen to honor his life and remember his acts of loving kindness by donating the Cardiac Rehabilitation Institute to the Haifa Medical Center. Thanks to the Boris’ super human efforts and his own golden heart, countless Israeli lives will now be saved, as they are cared for in an Institute dedicated in his memory, as if within Boris’ warm and loving embrace. 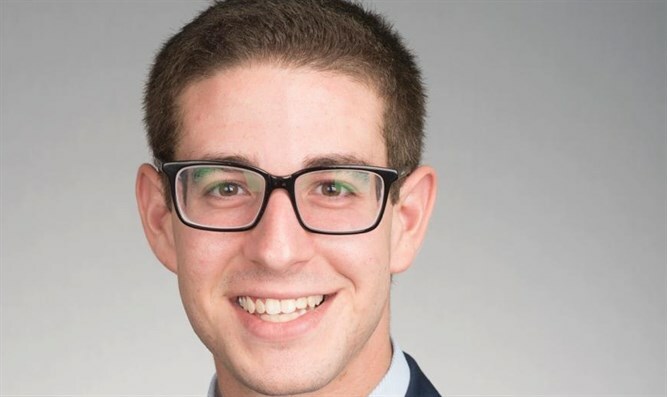 Zachary Silver is a pro-Israel activist and has had pieces published on Arutz Sheva, in the Times of Israel and Jerusalem Post. He writes frequently about Israel and Jewish culture.